Sometimes things around us go wrong overnight. When we find ourselves in such a situation, we wish we had prepared better. It’s best to prepare now, now that we still have the means to do so. Using buckets for long term food storage. This article shows how to store food for extended periods of time and how to make sure the food stays dry. It also gives advice on the type of food you need. Gathering wild oysters with a bucket. This article explains how to gather wild oysters. Oyster reefs are one of the largest most accessible sources of wild animal protein available. Grow a potato farm in buckets. Compared to cereal grains, tubers like potatoes are relatively easy to grow and harvest without complex machinery. They’re ideal to grow when your main priority is survival. Growing sweet potatoes in buckets. Sweet potatoes are similar to regular potatoes, but they’re healthier and prefer warmer climates. Growing Sunchokes in a bucket. This is not just another potato-like crop to grow. Sunchokes contain a form of energy known as Inulin, which is broken down by bacteria in your gut. As a result, sunchokes can be eaten by diabetics as a form of emergency food when they don’t have access to insulin. Growing your own Oyster mushrooms. Growing oyster mushrooms requires you to have some good substrate. If you can get this working, you can produce a lot of food from waste material like sawdust, without needing access to sunlight. You could grow food secretly in your own house, without anyone noticing. 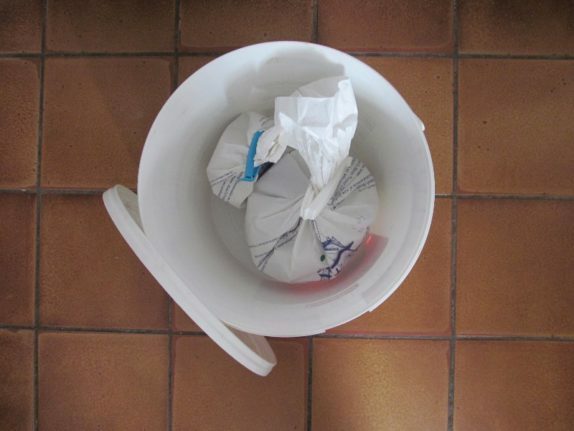 How to make an Emergency Water Filter. We recommend buying a portable water filter in advance, but if that’s not an option when things to wrong, you can try building one yourself. Seed Vault. This article explains how to build your own emergency stash of seeds, to sow when you need to rely on food you can grow yourself. DIY Biodiesel. When things go wrong, you may still need a form of transportation, to transport goods. Biodiesel can give you just that and you can produce it yourself at home. If you have plants in your house that you want to keep hydrated while you’re on vacation, you could ask someone to enter your house every day to do it for you. Alternatively, you can use a rope or a shoelace. This is called wick watering. It involves making use of the capillary action of a piece of rope, where water can simply crawl upwards. All that’s necessary now is to place the rope near a pot with a plant. When you place the rope in the water, it will take a few hours for the rope to begin wicking out the water, so don’t expect to see water dripping immediately. Today we’re going to look at five different herbs you can grow in your own garden, that work against anxiety. Wouldn’t it be great to have a garden filled to the brim with buckets where you grow these herbs yourself? If one doesn’t work for you, another might! What do you do when you’re painting a room but can’t quite reach the ceiling? You could get a ladder, but a ladder can be a big hassle. 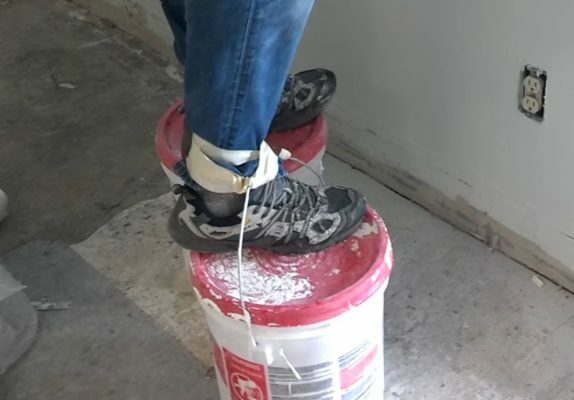 Well, there’s an alternative available too: You can make your own five gallon bucket stilts! Look at the supermarket today and you’ll find an abundance of fresh food to choose from. It wasn’t always like that. The Netherlands suffered a big famine in the winter of 1944/45. People had to travel by bicycle from the big cities to the countryside, in hopes of finding farmers who had some food available for sale. The Dutch famine is a classic example of how rapidly things can go wrong in a wealthy densely populated country. Famine is not just something you hear about on TV, my grandparents lived through one, they had to eat tulip bulbs to survive. Many people suffered hunger during the Great Depression too. In countries plagued by war today, famines are happening as we speak. Things can go wrong in a country without war too however. In Venezuela in 2016, 75% of the population lost an average of 19 pounds of weight! A big natural disaster could similarly lead to people going hungry. For this reason, we will look today at ways to store food to prepare for potentially disastrous situations.